Open weekend, please spread the word that all are welcome to join our walks this weekend Saturday 22nd and Sunday 23rd September. Both days we will meet on the Crescent in Boyle at 11am. Level C. Ballinafad to Castlebaldwin, route will follow the historical trail over the Bricklieve Mts, length 12km with 200m climb, time 3 to 4 hours. Level A. Boyle to Castlebaldwin, route will follow the historical trail over the Curlew and Bricklieve Mts, length 18km with 400m climb. Water proof boots needed for the Curlews, time 6 hours approx. Level C. Arigna village to The Bogside Inn, route will follow the miners way & historical trail over the over Kilronan Mt. 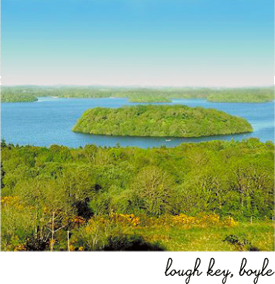 and past Lough Meelagh, length 12km with 200m climb, 3 to 4 hours. Level A. Arigna village to The Bogside Inn, route will head north up the Arigna valley to Greaghnafarna National school and then follow the miners way & historical trail cross the Arigna river and over Kilronan Mt. and past Lough Meelagh, length 18km with 500m climb, time 6 hours approx.